This vintage red silk chiffon cream lace floral trim belted bias cut dress dates from the 1930s. 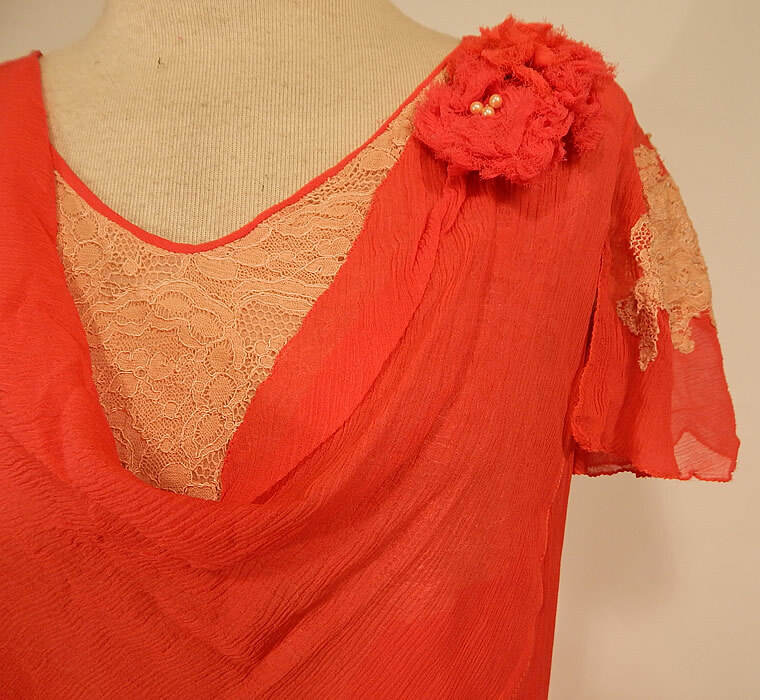 It is made of a reddish orange color sheer silk chiffon fabric, with an ecru cream color lace appliqué on the sleeves and necklines. 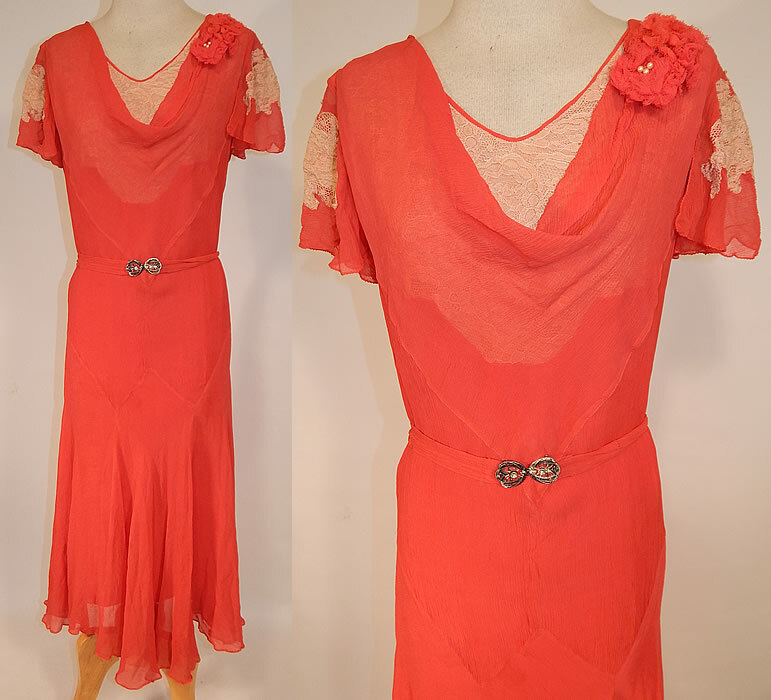 This beautiful bias cut dress is a shorter mid length, with a cowl drape necklines, a red chiffon flower pearl beaded trim on the shoulder, fluttery short cap sleeves, a matching fabric belt with silver metal buckle clasp closure and is fully lined. The dress measures 47 inches long, with 36 inch hips, a 36 inch waist and 34 inch bust. 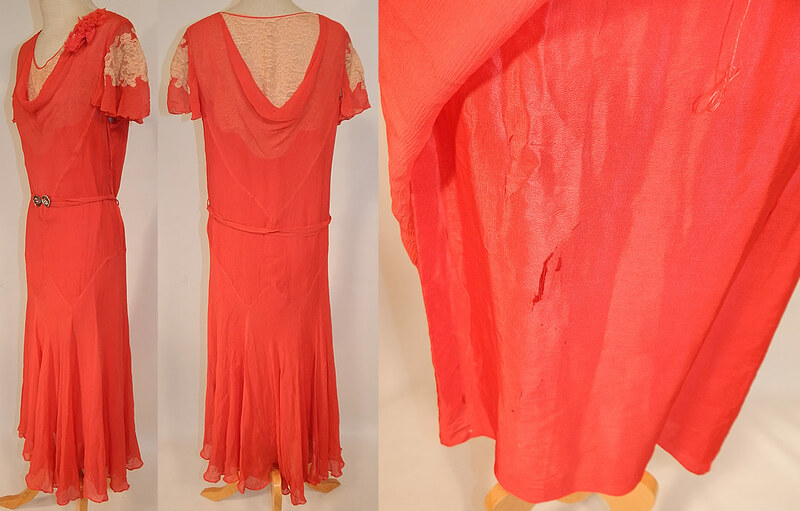 It is in good condition, but the inside silk lining has several splits and frays (see close-up). This is truly a wonderful piece of wearable art!